Following a night on the town celebrating a double win at the PRMoment Awards, PR Agency One shook off the heavy heads to open its doors to 50 members of the public who were excitedly arriving in Chorlton for a night of new music. 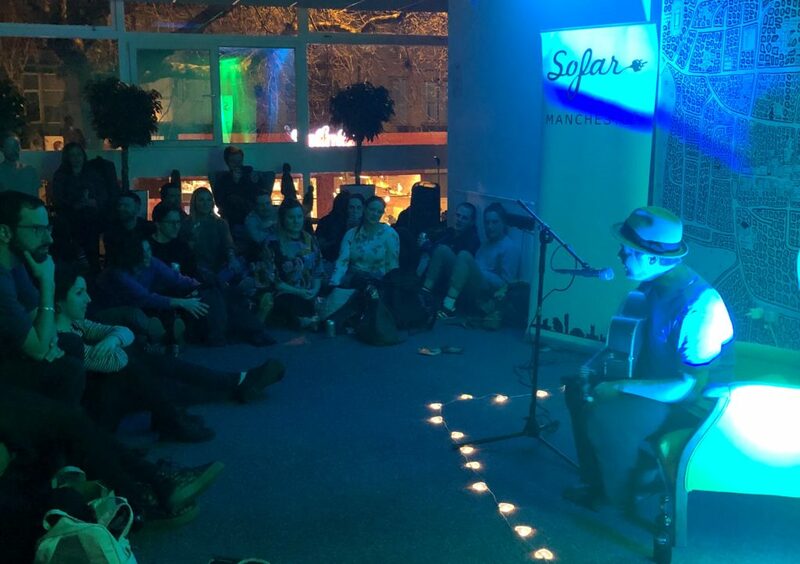 Three months earlier, Account Manager, Jenny, had contacted the not-for-profit music organisation Sofar Sounds and offered them the use of PR Agency One’s offices to host an intimate gig. 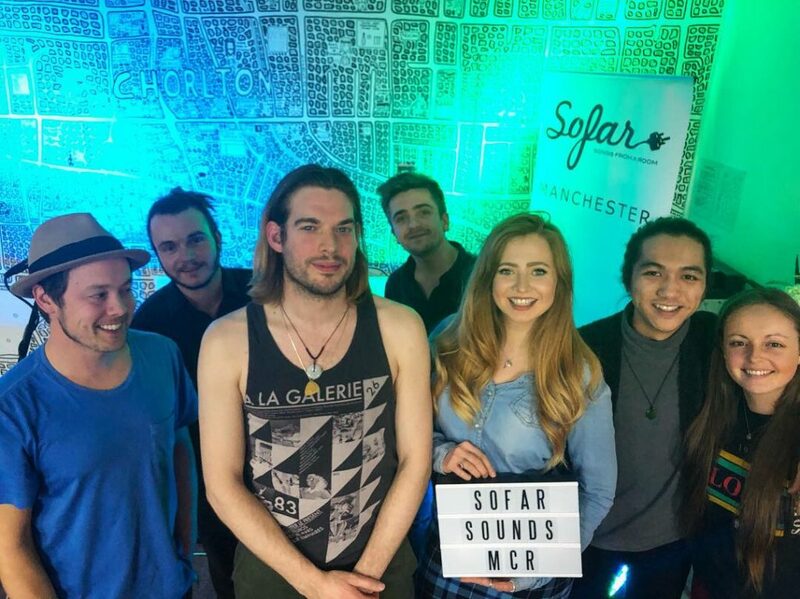 Sofar Sounds is an organisation that has been hosting intimate music concerts in cities around the world since 2009. Using unconventional venues such as living rooms, canteens, and offices as its stage, the group has a global presence, showcasing all manner of talent from up and coming solo artists to established bands including chart-topping artists such as Bastille and Hosier. Perhaps the most unconventional element of the organisation’s proposition however, is that concert-goers are kept in the dark as to who will be performing until they arrive at the venue. The point of this is to open up the audience to new musical experiences and artists, and introduce them to new sounds. 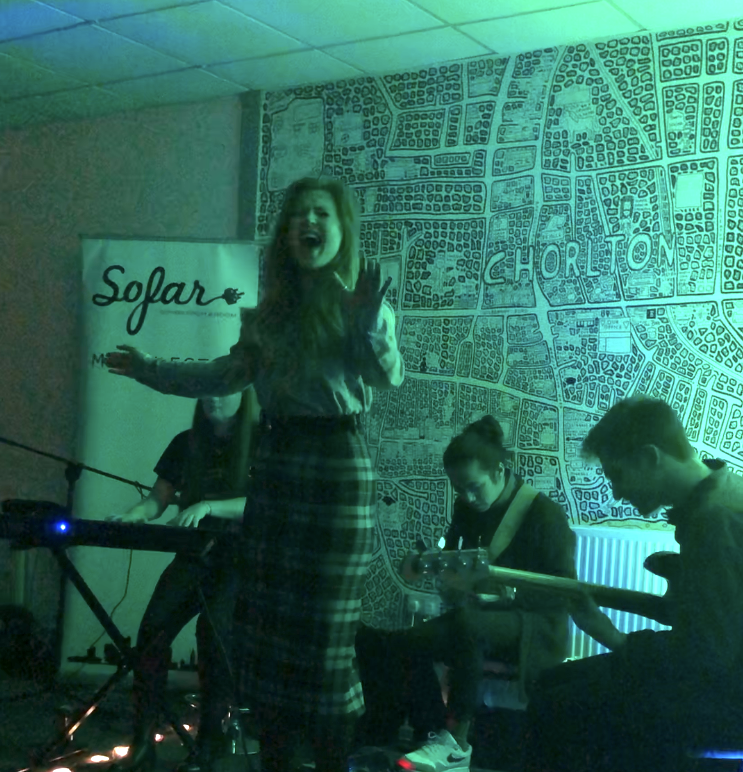 Living up to its stellar reputation, the Sofar Sounds gig at PR Agency One did not disappoint. Our staff, along with 50 members of the public, were completely blown away by the evening’s line-up of ensembles and solo artists. 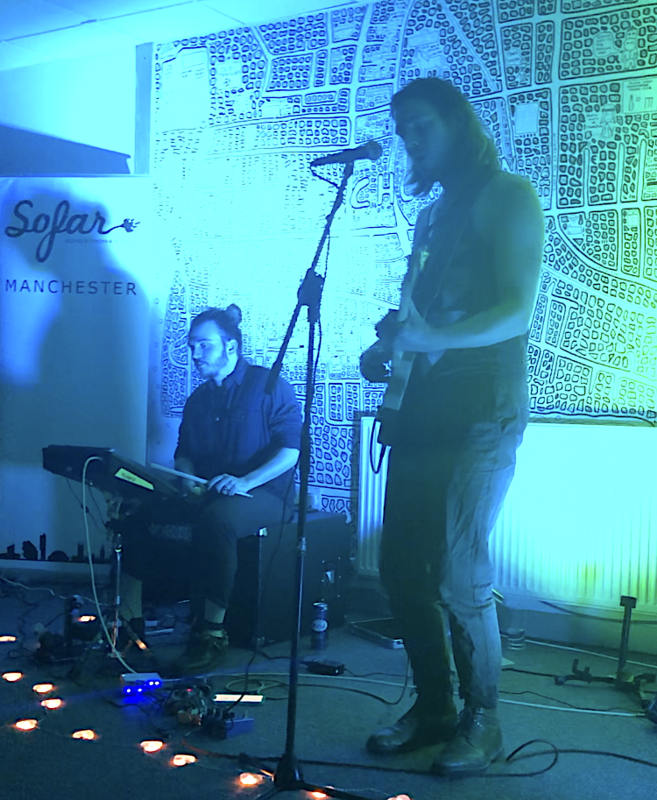 The first act of the night presented the musical stylings of Manchester based singer-songwriter Jon Kenzie, who served up a pitch perfect palate of blues guitar coupled with soulful melodies. Performing his own material, Kenzie demonstrated a fantastic talent for song writing whilst showcasing an impressive vocal range and light-fingered guitar-work. Fresh out of the Royal Northern College of Music’s pop course and second on the bill for the evening’s entertainment was a captivating four-piece called Young Monarch. Frontwoman Rebecca Lewis had the audience spellbound with confident vocal storytelling; delivering sweet lullaby-like melodies that spiralled upward to reveal a powerful tone that commands attention. The band mirrored Lewis’ technical ability and professionalism, creating a perfectly balanced soundscape that left the room hungry for more. The final act of the night was a duo visiting Manchester for the first time. Russell Swallow, who describes his music as ‘ambient indie’, was joined by Berlin-based drummer and pal ‘Danny’ (who came complete with ankle bells). After confessing to a heavy night exploring Manchester the evening prior (that’s rock ‘n’ roll, kids) the pair pulled out all the stops and treated the audience to a selection of energised instrumental lines paired with a unique vocal sound. After imploring his listeners to join him in singing the final chorus, members of audience were caught still humming it on their way out. The night’s entertainment was rounded off with an encore of Ben E. King’s “Stand By Me” which all of the evening’s musicians joined together in performing. We then took the liberty of capturing an epic group photo!